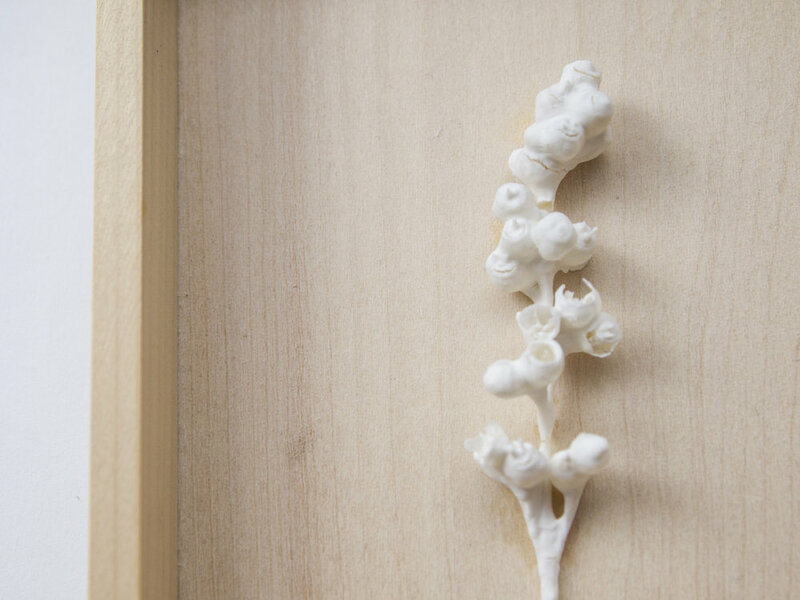 White specimen is made by using the unique materiality of clay that transform itself from liquid to solid on the drying process, and also from something fragile to something hard during the firing process. 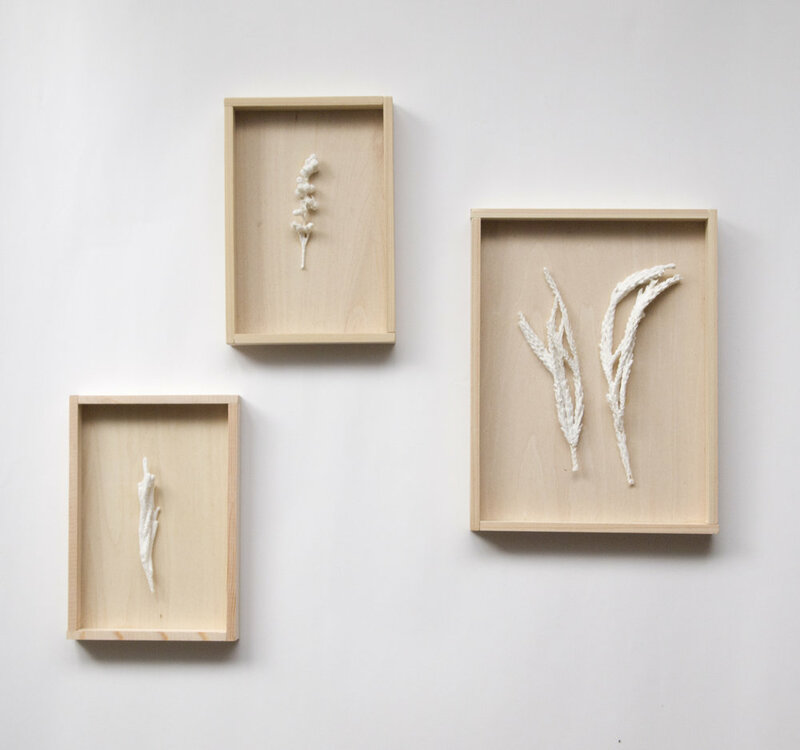 Dipped dried plants in a liquid porcelain, dry it and fired it in 1280, the original plant is burn away and only the white porcelain left. It makes us possible to focus on the shape of plants and to have a specimen which never change over the years.